Savyasachi is an upcoming action thriller starring Naga Chaitanya and Madhavan in lead roles. This film also happens to Madhavan’s official debut into Tollywood. 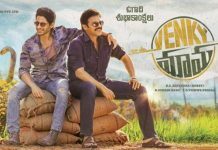 The film is directed by Chandoo Mondeti who worked with Naga Chaitanya earlier for Premam. 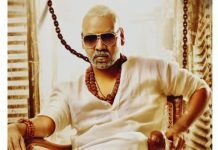 Music for the film is composed by M.M.Keeravani. The album begins on a trendy note with Why Not which already gathered much attention with the single release. Ananth Sriram’s lyrics are quite appealing and also have good poetry involved. The song entirely has a contemporary feel with foot tapping rhythm and techno sounds. PVNS Rohit does a decent job with his youthful voice. The interludes have good techno riffs and keyboard usage. The usage of violin gives it a classical touch. The next is a remix of Nagarjuna’s all time hit Ninnu Roaddu Meedha from Allari Alludu. The usage of additional party riffs, rhythm and rap adds a contemporary feel to the song. However, the original song’s commercial and mass touch is missing in this version. But, it would have its appeal to the current day youth for the layering. Pridhvi Chandra and Moumina make a passable attempt to make it a peppy number. Okkarantey Okaru is a beautiful female solo by Sreenidhi Venkatesh and penned by Rama Jogayya Sastry. The usage of minor scale is done to best effect in the form of harmonica and strings. The mild piano touches are beautiful and appealing to hear. The pain of mother who bear vanishing twins is beautifully explained by the lyrics. This song definitely stands out by being entirely loyal to the theme. The album returns to modern feel with Tick Tick Tick performed by Hymath and Shreya Goparaju who have a breezy voice. Ananth Sriram includes some English words to give it a trendiest feel and succeeds in doing the same. The song has quite a road trip kind of appeal for its swift nature and relaxing ambience. A jazzy number 1980,81,82 which speaks much about nostalgia of the 80s kids. This song strikes a chord with all those people who grew up in the age of video games, VCR and cassettes. It is indeed a great attempt by Ananth Sriram to relive all those memories through his peppy lyrics. The song has timely piano touches as well. Oopiri Ukkiribikkiri is a melancholic number which speaks mountains about struggle of survival. The song has an eerie feel to it thanks to the chord progression and Srikrishna takes up this challenge quite well. However, the female vocals Sri Soumya and Mohana Bhogaraju mellow down the tension with their reassuring vocals. Kudos to Ananth Sriram for giving a contrasting effect and interesting confrontation of the lead character. 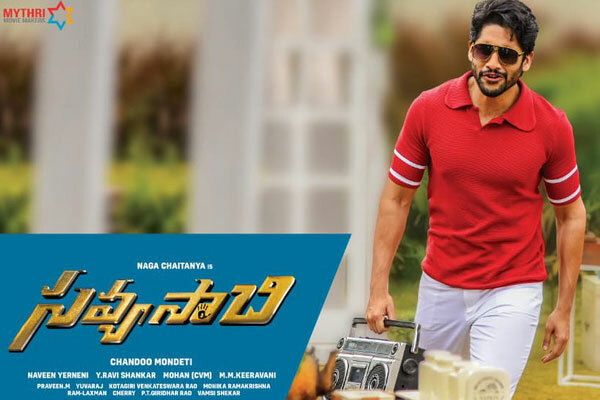 Savyasachi is an impressive album from Keeravani which caters to the current trends. The composer definitely is keeping up to the current tastes of the audience.